Last June, before the Moto 360 launched and when the world still thought that the second-gen Moto X would be called the Moto X+1, there was talk of the Moto 360 smartwatch hitting Moto Maker. Rumour had it customized versions of both devices would be available through Motorola’s customization portal. 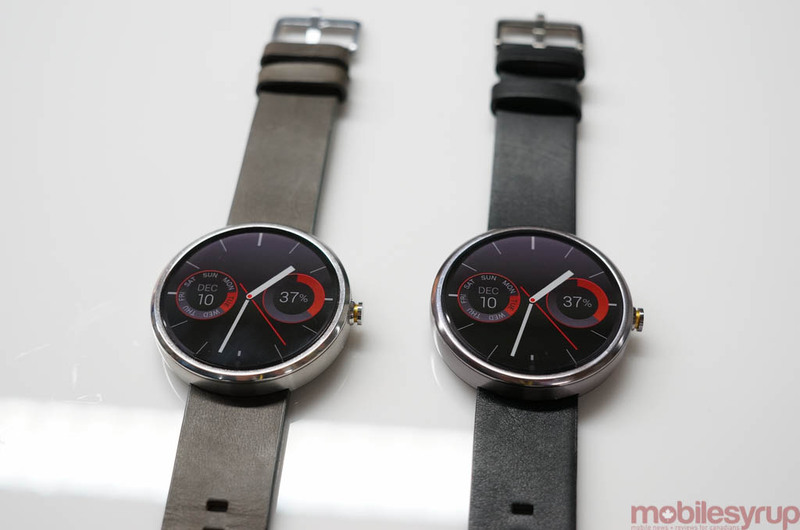 Fast forward eight months, and Motorola is still working on the slow roll out of the metal versions of the Moto 360. However, rumours of Moto Maker customization have returned. Wired reports that March will bring a new Moto Maker too that will allow you to customize a Moto 360 watch before you order. The Moto 360 is already available in three different colours — gold, black, dark metal, and silver – with numerous different bands. However, you can’t mix and match. For example, the champagne gold watch comes with a champagne gold strap, while the dark and light silver options come with matching metal. That will change next month, when Motorola will allow you to pick and choose each component. So if you want a champagne gold watch with a black leather band, you can do that if you really want to. You’ll also be able to pick the watch face that will appear on your watch when you power it on for the first time. Moto Maker isn’t available in Canada, but starting this Friday, you’ll be able to buy all of the metal versions of the Moto 360 (champagne, dark metal, light metal, and black) from Best Buy, Future Shop, and TELUS.